Sometimes life just calls for banana muffins. Ripe bananas are sitting in the fruit bowl and you have a spare 15 minutes to whip something up that tastes good, is easy to make, will please everyone in the family and yet you want it to still has a decent enough nutritional content to make it a guilt-free lunch box addition. 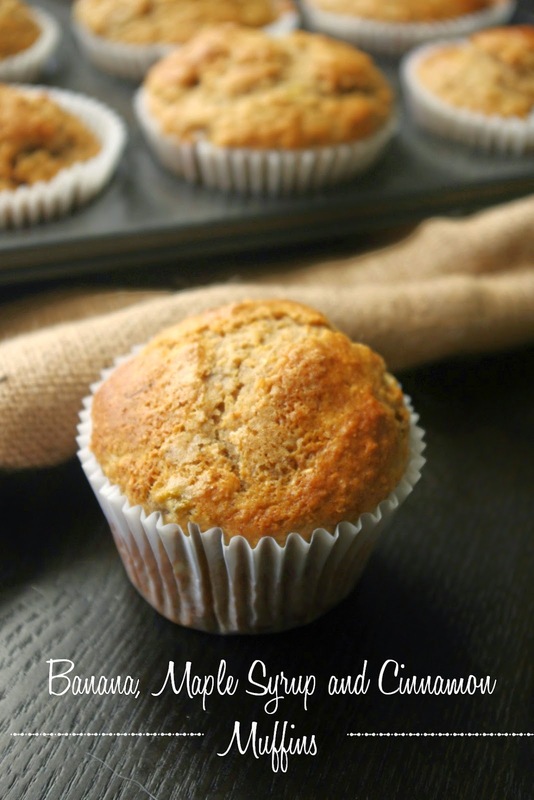 These Banana, Maple Syrup and Cinnamon muffins are just that - easy, delicious and a perfect lunch box treat. Preheat oven to 180°C. 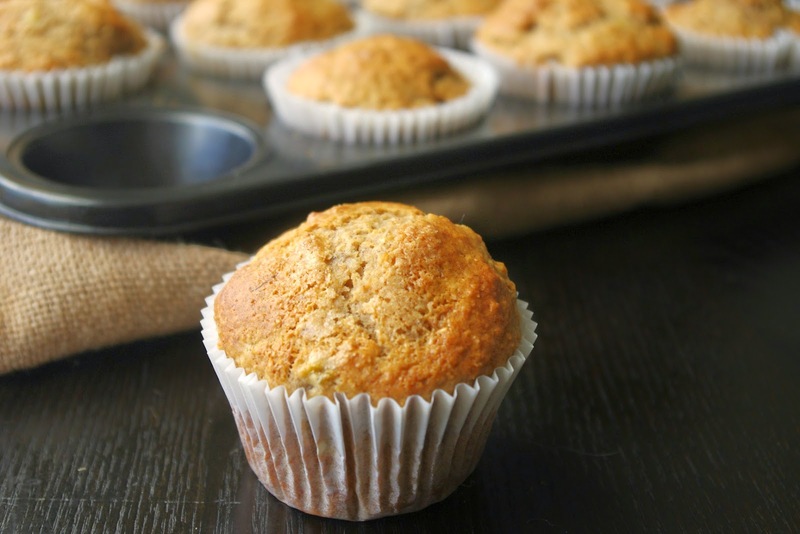 Grease 12 x 1/3 cup (80ml) muffin pans with melted butter or line with paper cases. Combine flour, baking powder, bicarbonate of soda & cinnamon in a large bowl. Stir in sugar. Combine oil, milk, maple syrup, vanilla, eggs and mashed banana in a large jug. Whisk until well combined. Add egg mixture to dry ingredients, stir until just combined (do not over mix). Spoon mixture into muffin pans. Bake for 20 minutes or until cooked through when tested with a skewer. Cool in pans for 5 minutes, turn onto a wire rack to cool. 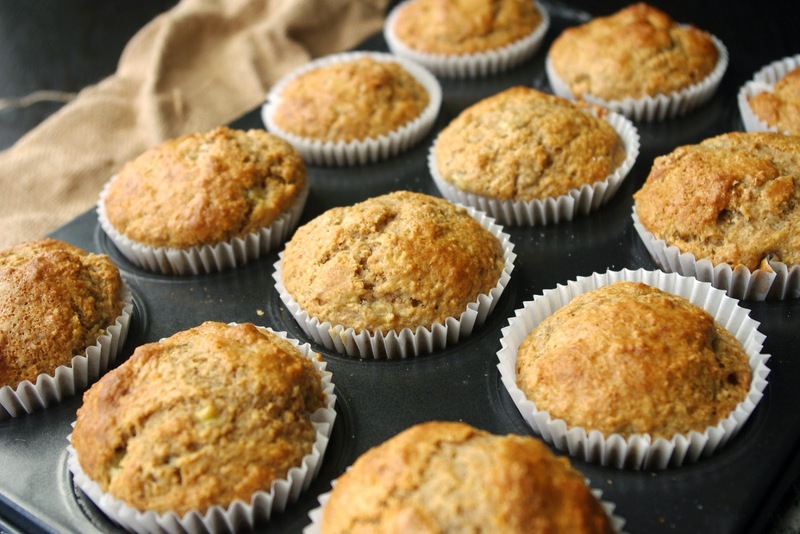 Are banana muffins a hit in your house too? They came together nicely but I am always looking for a perfect recipe, I find it hard to settle on just one! Wow these muffins look and sound seriously delicious.. you can never go wrong with banana, cinnamon and maple syrup. Craving a bite! Thanks Thalia, I certainly enjoyed my bites! OOOH I'm a sucker for a good muffin!! Trying these they look delish!! These look delicious Danielle! Beautifully risen. Thanks Kim, I did enjoy the maple syrup over honey. These look delicious - what a winning combination of flavours. You can't go too far wrong with these flavours, or a banana muffin in general. Thanks for visiting. Ooh, delicious! I got here via your 'In My Kitchen' page, because I got distracted from your kitchen goodies by the promise of muffins... an excellent distraction indeed! These look yummy, I will try them - but what is the measurement "mls" of oil?? ?